The basic principle is that we are doing the service for people. We take into account what is really necessary and important for every audience. but in addition there are other interactions that perfectly complement our system. A total of The total number of tokens: 3,079,386.683 FNTB. 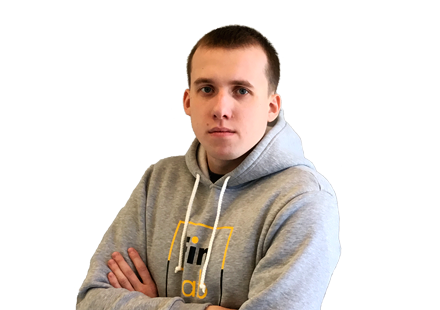 He has been in development and projects since 2016. 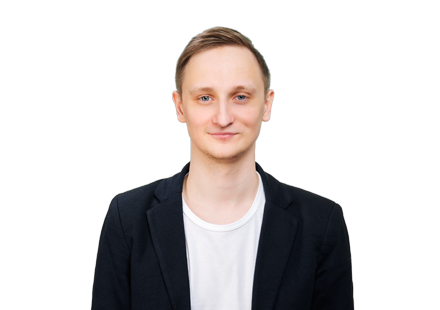 He was involved in system administration, participated in the development of the project of parsing and analysis of services with hundreds of thousands changes per minute. From 2016 to 2018 he was engaged in promotion of events booking agency Over Booking. He led the agency to profitability and attracted more than 10,000 people to the target audience. There's this app called "Blockfolio" which is basically free. So when do we start to throw a couple million dollars of ICO money to them? We analyzed other systems including "Blockfolio", "cointracking", "coin.fyi", "cryptocompare", "altpocket" and many others. — Both a desktop version and a mobile app at the same time. 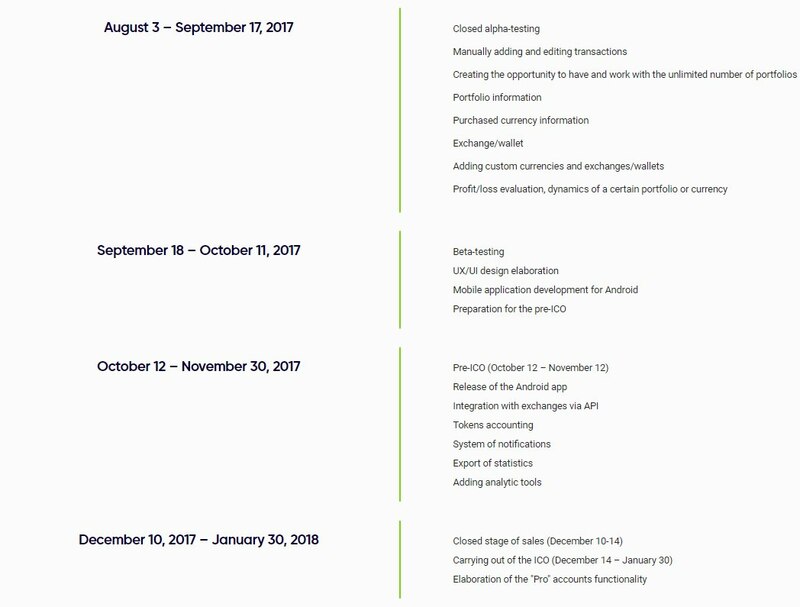 — Possibility of accounting the ICO tokens (the ones that haven’t been issued yet). — Keeping a record of exchanges and wallets the currency was purchased at. — Separate agency and client accounts. 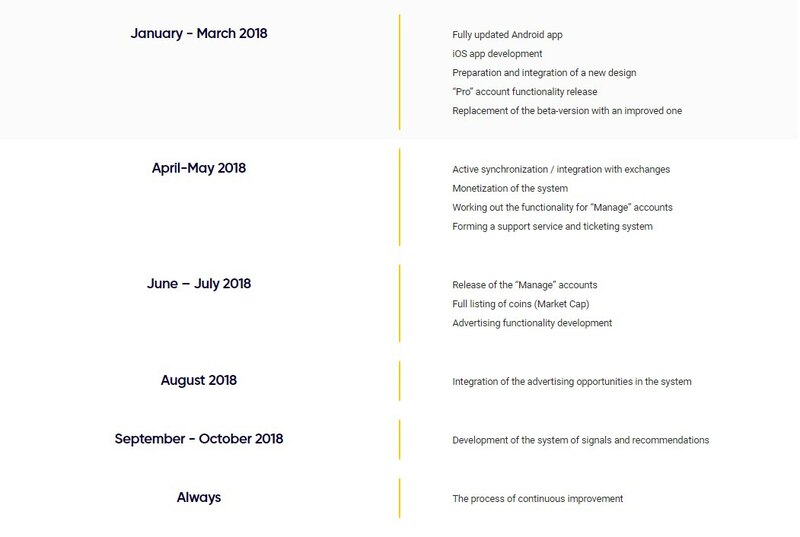 — Calculation of portfolio changes and it’s ROI considering multiple transaction types (replenishment, withdrawal, exchange, replenishment, withdrawal etc.). — Calculation of currency changes considering multiple transaction types (replenishment, withdrawal, exchange, replenishment, withdrawal etc.). And we also have free version for audience which use those systems. Traders — active users, working both on short and long positions. They perform numerous transactions and may have several active. Unlike the "Individual investors", traders perform series of transactions: several transactions within the same currency - purchase, exchange, transfer, withdrawal. They need to keep a record of these transactions and be able to see the overall statistics. Moreover, it is important to automate the addition of transactions. Funds (manage) — in other words, traders who take third-party finance under management and supervise several clients. They need to be able to separate the agent and client accounts, and actively interact with the technical support for individual improvements. The agent account will feature the possibility of setting the client cabinet for each separate client: displaying the relevant information, placing a personal logo, generating a report, etc. 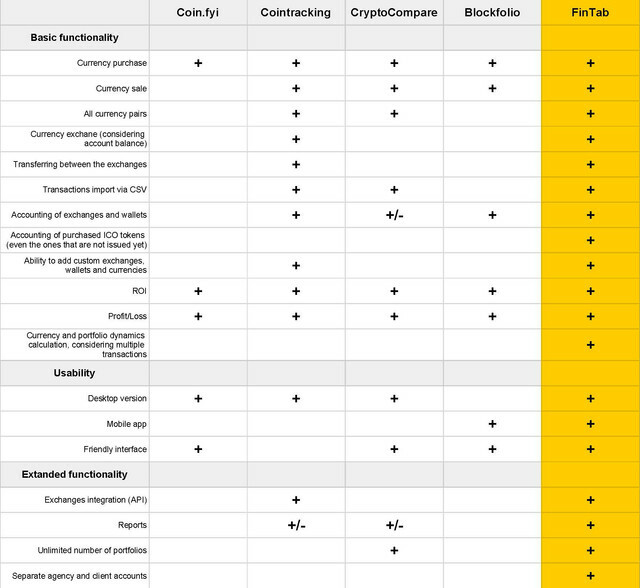 We are going to present our competitive advantages in a more detailed form in the near future. when is the launch of bounty campaign ?? 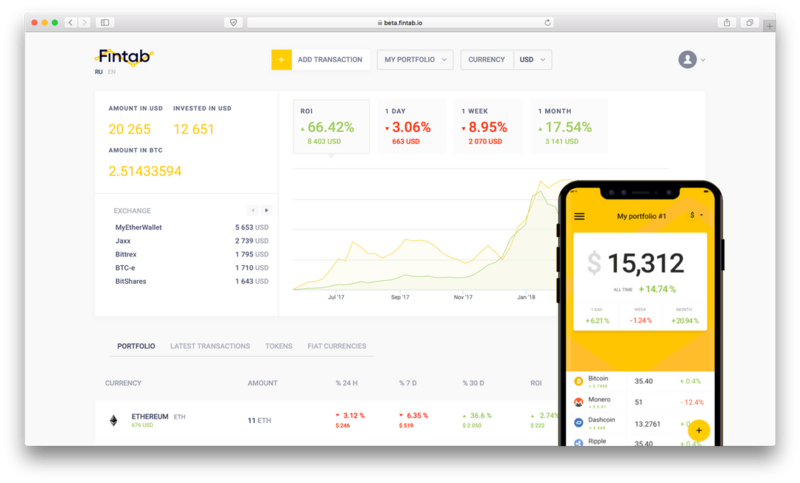 The Accounting System for Cryptocurrency Portfolios => very nice idea Will there be bounty? 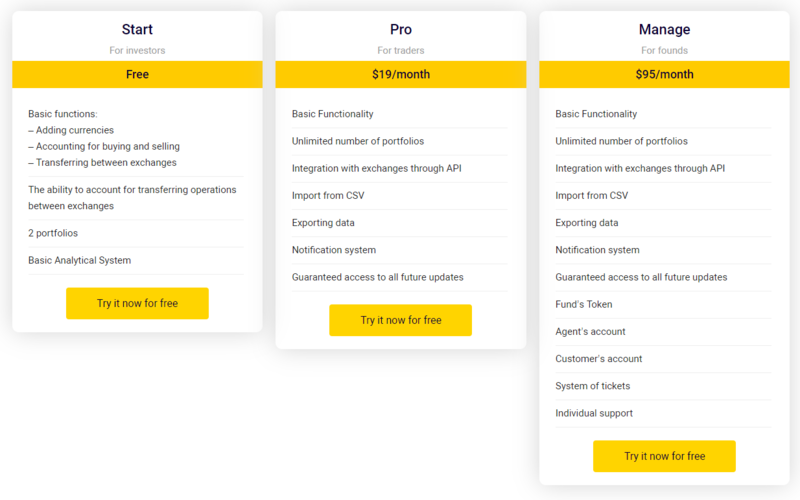 What is difference among Coindash, TrackerIM and FinTab do you have any comparison chart you project is looking very similar to these project while Cindicator is also working on this concept. I think it will be helpful to show the advantage what your service will offer. 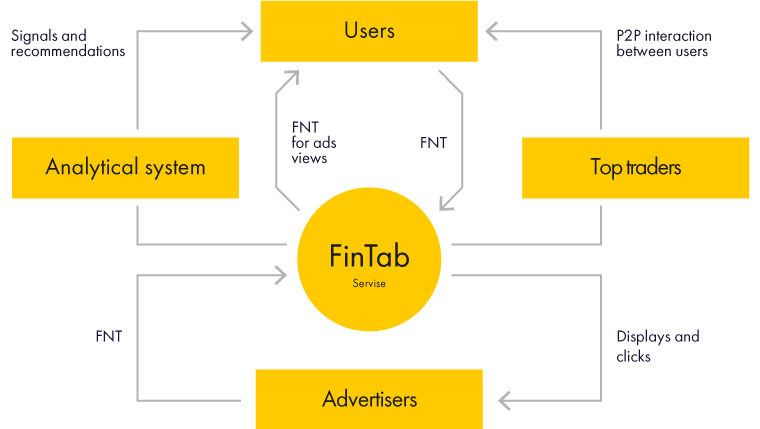 How is FinTab different from its competitors? We have carried out the analysis of 17 cryptocurrency accounting services. Broad functionality, but unhandy interface. Good design and usability, but lack of features. The service lets you add currencies and specify their USD value. Absence of other transaction types, limited to a single portfolio only. The system simply calculates the summarized portfolio value and ROI of currencies and portfolio. It’s a very simple scheme. Even Google Tables or Excel can offer a broader functionality. It has plenty of features, half of which are not in demand even among traders or trusts (many transaction types have in fact the same meaning). Yet it’s the most functional system; it offers standard reports with an export option, dashboard, import from various exchanges via CSV, API integration, forecasting. Cons: all features are very inconvenient to use, free version has a scaled down functionality, there’s no mobile app and no analytics on multiple transactions*. It also has just one portfolio, which makes the system pointless for traders and trusts. The most usable of the existing services. 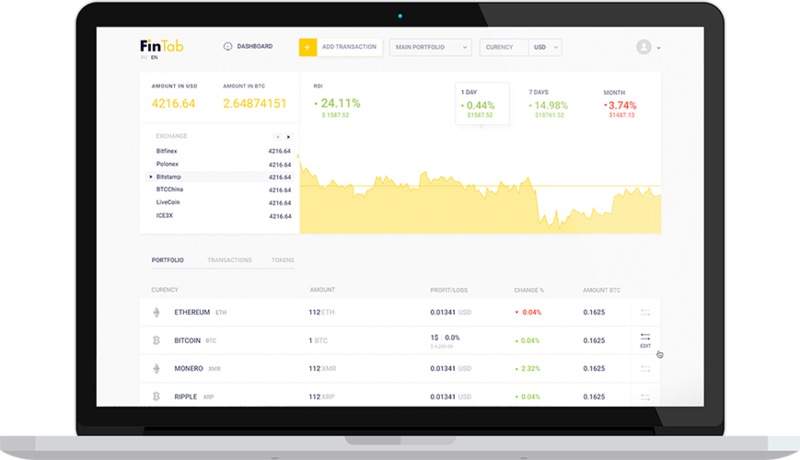 It allows you to create multiple portfolios, offers the overall basic analytical tools for portfolios and currencies. no guest access feature – portfolios can either be public, or private. Thus, the service can be great for personal use, but doesn’t meet the needs of traders and trusts. The only decent mobile app as of today. It’s got the buy/sell feature, the notification system, the wide choice of exchanges. Cons: there’s no desktop version, which makes it exhausting to add many transactions and currencies. Also, there’s no percentage calculation for multiple transactions*. The service is only good for personal use with a small amount of currencies and transactions. blockchain implementation for decentralized processing and storage of users’ transaction database. *The example of multiple transactions: say you’ve purchased a currency at one rate, sold it at another rate, purchased it again and sold it, traded it for another currency, etc. It becomes challenging to calculate the percentage of currency profitability, as well as the whole portfolio ROI. 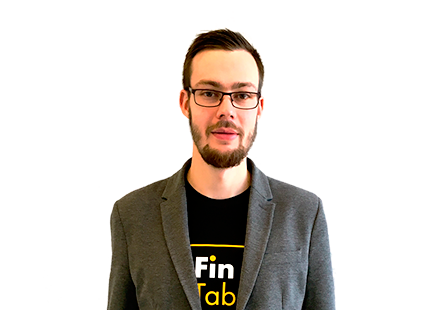 FinTab team has found the solution to this problem. Now you can always be sure to know your exact profit or loss (% or absolute value) on each currency or portfolio, no matter how many transactions you’ve performed. Traders — active users, working both on short and long positions. They perform numerous transactions and may have several active portfolios. Unlike the "Individual investors", traders perform series of transactions: several transactions within the same currency - purchase, exchange, transfer, withdrawal. They need to keep a record of these transactions and be able to see the overall statistics. Moreover, it is important to automate the addition of transactions. Trusts — in other words, traders who take third-party finance under management and supervise several clients. They need to be able to separate the agent and client accounts, and actively interact with the technical support for individual improvements. The agent account will feature the possibility of setting the client cabinet for each separate client: displaying the relevant information, placing a personal logo, generating a report, etc. 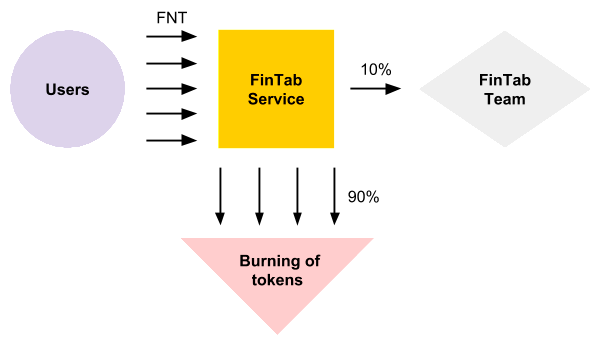 simple, yet powerfully protected integration with cryptocurrency exchanges via API for the automated transaction data transfer (in order to exclude the manual transaction input). **Each client’s individual portfolio access. You can set up the information you wish to display to each separate client. At the same time, unlike the ordinary portfolios, the client accounts are automatically synchronized with the agency accounts, thus, performing any transactions in your agency account you won’t need to manually duplicate them in your client’s account. Great news: tommorow we'll announce our bounty-programm!